The history of body modification is as long as human history itself. People from various cultures and time periods throughout the world have stretched their earlobes because the cartilage of the ear has adequate strength to hold up large pieces of jewelry placed in pierced and stretched earlobes. We think of stretching a modern practice but it has actually been a tradition for many cultures for thousands of years. Body piercings and stretched lobes were done in ritualistic form in ancient civilizations in Mesoamerica and South America, particularily in the Mayan, Olmec, and Aztec cultures. They would do the piercings with the thorns from plants and would then wear elaborate jewelry in their stretched lobes, septum, and tongue. The women of the Matsés and Matis tribes would enlarge their earlobes with jewelry, wear bright body paint, and have numerous piercings to display strength. Many Aztec men would make jewelry from gold and silver to show that they were from a higher class and men from the lower class would wear plugs made from materials that were readily available, such as wood and copper. The higher class men of the Mayan tribe would wear jewelry made of Jade while the lower class would wear wood, bone, and stone. 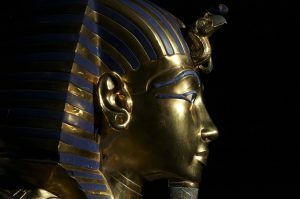 Both King Tut’s mask and mummy show that he had stretched lobes. Among other items in the pyramid he was found, were eyelet type pieces of jewelry that archaeologist believe were used as plugs or earrings. ‘Man from Hauslabjoch’, otherwise known as Otzi the Iceman was found in the Alps in between Austria and Italy. He is the oldest mummified body discovered to date and also had stretched ears! They were stretched to the equivalent of a 0 to 00 gauge. Otzi also had numerous tattoos that were located in acupuncture pressure points. Before Buddha chose the path of minimalistic living, he wore heavy jewelry such as precious stones and solid gold in his earlobe piercings. Because of this, his ear lobes were permanently stretched. 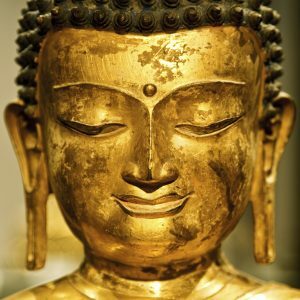 When Guatama Buddha decided to give up his wealth and possessions, he also removed his jewelry which gives us the vision of how we see Buddha today – with long earlobes. The Fulani tribe is from Nigeria and Central Africa. The tribe holds beauty in high regard and see beauty in their piercings and tattoos. When Fulani girls are three years old, they will have their ears pierced. 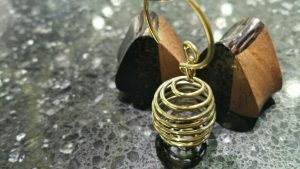 They will not stretch them as large as the Masai and Mursi tribes, but large enough so that they can wear large intricate gold hoops. The Mursi is a tribe found in Ethiopia. The women of the tribe are known for placing large wooden ‘plates’ into their stretched lobes and bottom lip/labret piercing. 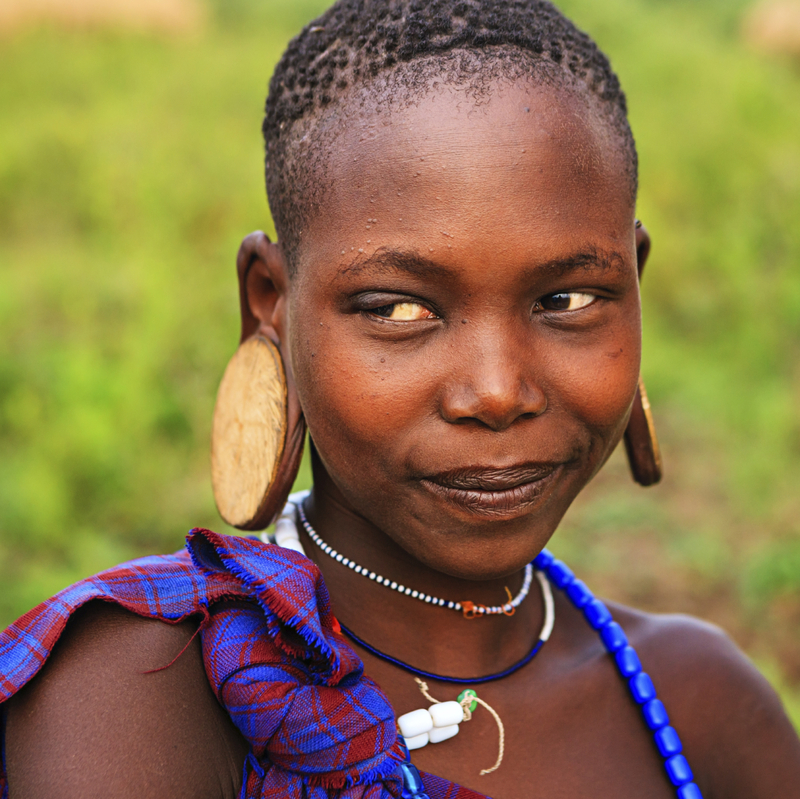 When the women are fifteen or about to be married, the mother will pierce her ears and lip and insert a wooden peg. This means that the girl has now entered into womenhood. Once the piercing is stretched and healed, the wooden pegs are changed to that of a larger size. It is when the piercings are stretched to a specific size and hold wooden plates that the Mursi woman then gain a higher level of respect than they did before. 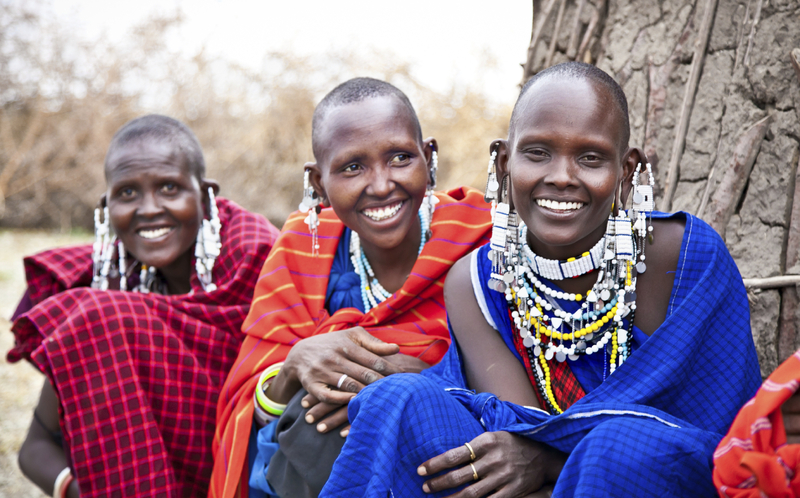 The Maasai People from Kenya are known for their intricate colorful clothing and their distinctive customs. They are also known for the materials that they choose to use in their piercings, particularily the females. The piercing is initially done with a sharp object such as a knife or twig and then held open with jewelry made from animal bone, elephant tusk or a stone of some sort. They then wear heavy jewelry in the piercing in order to increase its size. 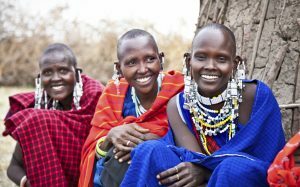 The Maasai often identified widely stretched lobes with wisdom since the older members had larger lobes from having their ears weighed down over the years. The Soura people, part of a tribe in Southern Orissa, practice both ritual piercing and tattooing. The Soura women often wear numerous earrings along the rim of their ear and have multiple nostril piercings as well. They pierce their lobes with thorns or twigs from plants and they enlarge the size of their earlobes until they are so large, they reach to their shoulders. The Lahu and Karen-Padaung Tribes stretch their lobes and wear intricate jewelry in their multiple ear piercings because they believe that the ears are the most sacred part of the body. In present day, ear stretching is reserved for married women and seen as a sign of beauty. The people of the Huaorni tribe associated stretched ears with beauty so they started this practice at a very early age. At some point during their childhood years, they would pierce there lobes with a bit of tree trunk. Over the years, they would gradually stretch their lobe piercings with stones and larger pieces of wood. Once they reach an older age, the Huaorani people would remove their jewelry and wear their lobes in their natural stretched state.